Here’s some interesting observations of our embryological development that might explain some of the phenomena felt by BCST practitioners. The first midlines of the body coalesce from the meeting of the three embryonic fluid spaces (chorion, yolk sac and amnion). Three germ cells create three midlines. From the primary ectoderm the neural tube develops. From the primary mesoderm the notochord and the heart develop. From the endoderm the gut arises along with the umbilicus. The process of gastrulation in the third week after conception converts ectoderm to mesoderm so the embryonic disk becomes triple layered and the first midline emerges from mesoderm – the primal midline. However the process of initiation starts with the primitive streak emerging on the ectoderm layer. The area of the mesoderm at the top of the notochord is the cardiogenic area out of which emerges the heart. 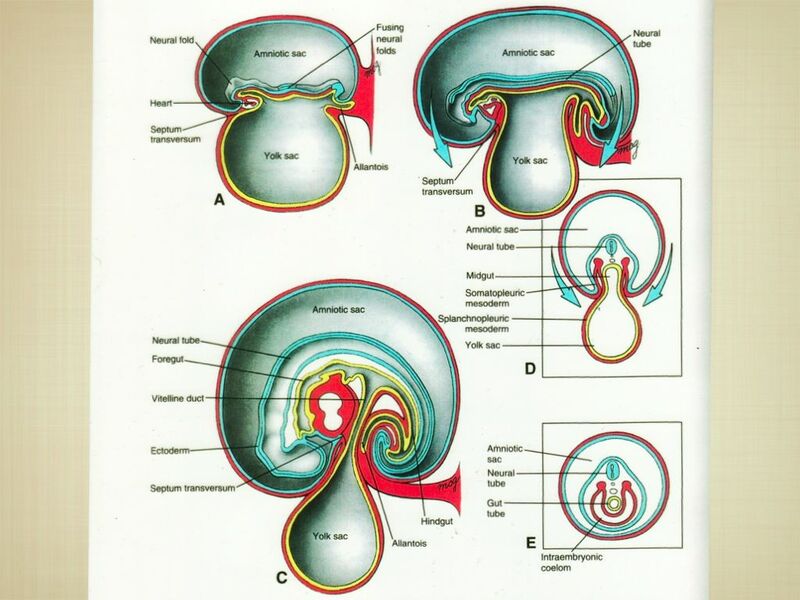 A similar process takes place in the ectoderm layer as the neural tube develops and the growth of the brain at the top of the tube to produce a unique moment in development at enfoldment when the heart and brain are right next to each other then as the face develops there’s a pulling apart. Actually there’s so much similarity between heart and brain even though they become quite different structures with different functions – at their core they both retain the original chambers of life: four ventricles. This is a remarkable body reflection and as your skills deepen you will notice how similar the potency is in both sets of chambers, one set is full of CSF (blood serum) the other full of blood. 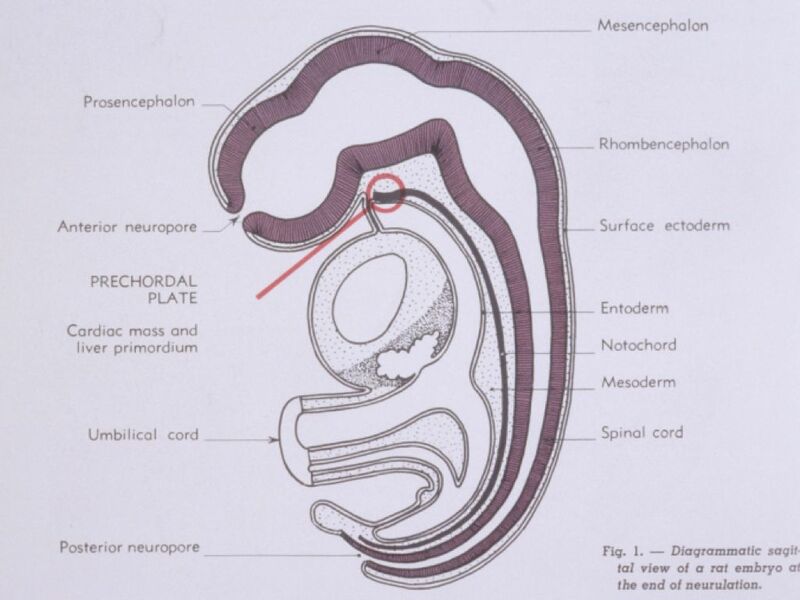 At one point the heart is at the top of the notochord just like the brain is at the top of the neural tube, then as the heart folds into its place at the front of the body, the notochord moves between the heart and the brain and ends up moving through what will become the cranial base as the heart descends down the length of the developing spine to the the centre of the thorax. The endoderm, gut tube and umbilicus are quite different in their development. The gut is design to be in relationship with the outside world and the heart/brain the internal world. After all the gut takes in food, it creates the lungs which take in air. Both ends are open to the world and there’s a development of the umbilicus which is entwined with the gut development and is part of an internal/external relationship. In fact, it’s our first relationship into the external world of the placenta, the uterus and mother/other. Consequently the potency of the gut and umbilicus is quite different to the heart and brain. The gut, the umbilicus and the amniotic space are all connected. This means that the space around us is an interesting mix of yok sac/gut/umbilicus and neural tube/amniotic sac with potency from the primal midline flowing into the space and constantly potentising it.